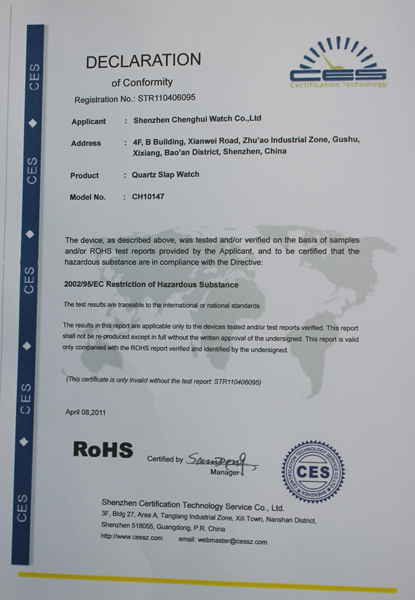 Company Overview - Shenzhen Chenghui Watch Co., Ltd.
11YRSShenzhen Chenghui Watch Co., Ltd.
Shenzhen Chenghui Watch Co., Ltd. is the professional watch and clock manufacturer,which have been in this line for more than 10 years.Our main products are fashion watches,promotional watches,gift watches and etc.Watches as a interesting,innovative,useful gifts and products whichwhen printed with logos and advertising messages are ideal for Personalised Business Gifts, Advertising Gifts, Marketing Gifts, Corporate Business Gifts, 'Give-Aways' and for 'FREEBEES'. These items is ideal for Exhibitions, Conferences and Corporate Events, as well as for Incentives, Souvenirs and Fundraising.Our watches are well priced, of good quality and suitable for being effectively 'Customised', which will also help promote YOUR Product, Business, Service, Function or Event. "Quality is our life, Reputation is our development, and Innovation is our outlet".With competitive price,good quality & service,and fast delivery,we have cooperated with some world-class companies during last 10 years.In order to return the society and our supporters, we will continue working hard to meet more client's requirements as before.For more details,please kindly browse this website and contact us!